Your Sailors, your responsibility. What do you do when they need help? 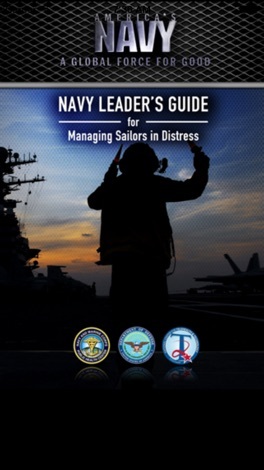 The Navy Leader’s Guide for Managing Sailors in Distress is your one-stop shop for information on issues that affect your Sailors and guidance on what leaders like you can, or must, do. Based on the Navy & Marine Corps Public Health Center website of the same name, the Navy Leader’s Guide mobile app puts the resources you need to respond to almost any issue affecting your Sailors right in the palm of your hand. Whether at sea or ashore, you can find information on a range of topics, including dealing with a Sailor’s substance abuse, rules for ordering a command directed evaluation, procedures for convening a medical board, resources for Sailors dealing with sexual assault, and how to support your personnel after the death of a shipmate. 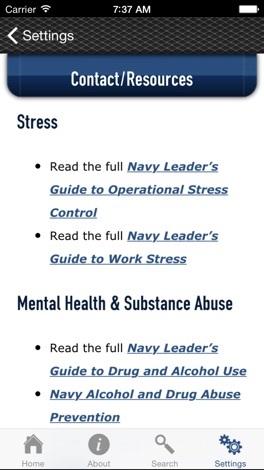 The Navy Leader’s Guide is divided into six broad topics: Stress, Mental Health & Substance Abuse, Medical Concerns, Personnel & Family, Sexual Misconduct, and Sailor Self-Care. 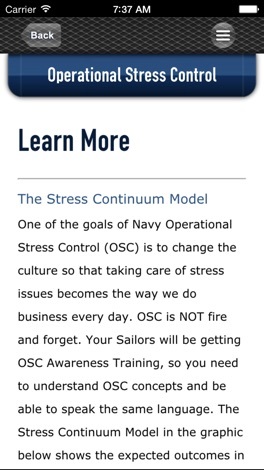 Each topic features several sub-topics and provides an overview of each issue and its impact, tips on how to identify and address the concern, your role and responsibilities regarding the issue (including links to relevant instructions and regulations), links to additional Navy, DoD and other resources, and a brief quiz allowing you to test your comprehension using realistic scenarios. Convenient, concise and portable. The Navy Leader’s Guide for Managing Sailors in Distress gives you all the rules, regulations and resources you need to support the health and safety of your personnel. Download this free app today. Trade Navigator - mobile companion to the full-featured desktop Trade Navigator software. Trade Navigator for iPad and iPhone will give you quick updates and some of the popular charting features on-the-go.